It’s Mistletoe To Go! 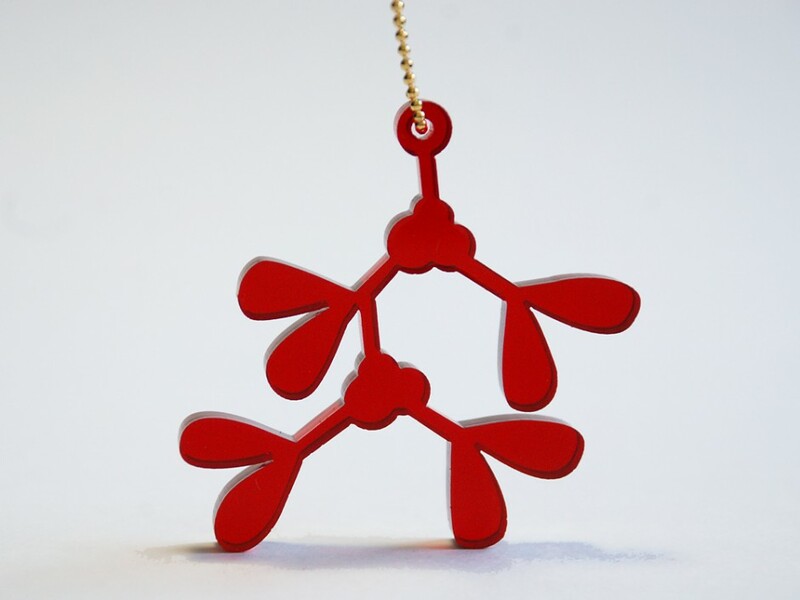 A bright holly red acrylic mistletoe pendant hangs on a long gold plated ball chain! 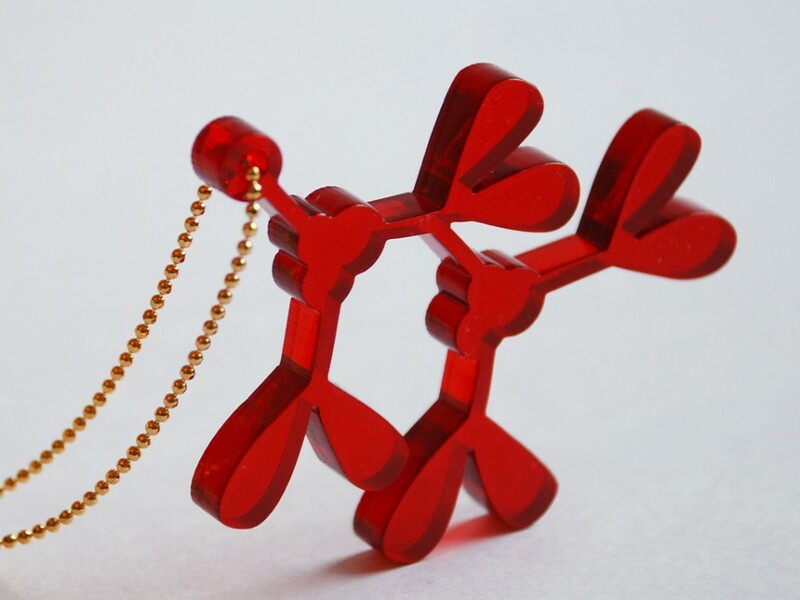 Just in time for the holidays… Steal a kiss from your sweetheart anywhere!!! 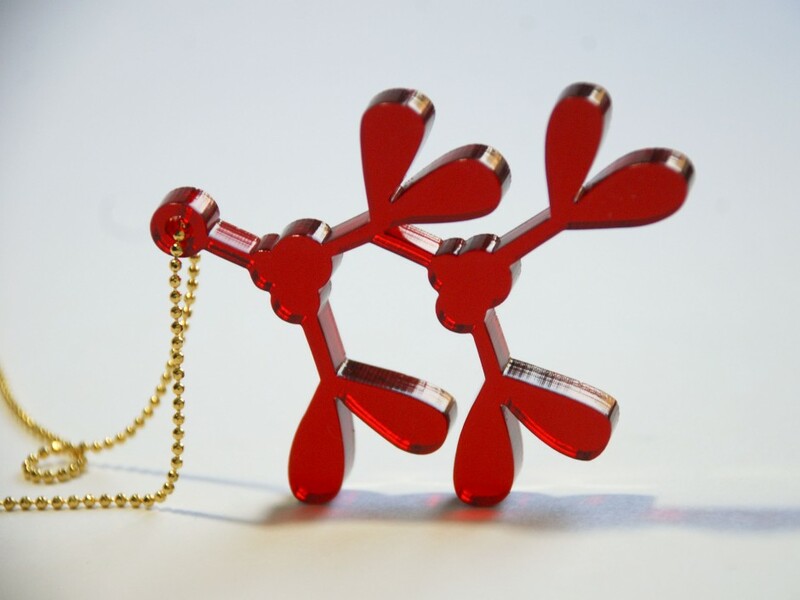 *Laser cut mistletoe measures just under 2 1/2″ x 2 1/2″. *The gold chain measures 32″ long, is gold plated and sealed with an anti-tarnish coating.